This Week in the American Department: The Dixie Bee-Liners! 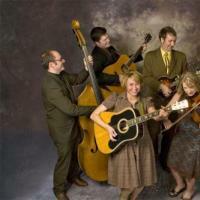 Be sure to tune in to Honky Tonkin' on Tuesday, July 12th at 10 PM for a special in-studio visit by the Dixie Bee-Liners, the 2008 Roots Music Association's Bluegrass Artists of the Year, as they stop by WKCR en route to the Grey Fox Bluegrass Festival in Oak Hill, NY. The Bee-Liners will talk about and likely play a few tunes from their upcoming album Susanville. And after the show, you can stick around for your weekly dose of acoustic and electric blues on Tuesday's Just as Bad, or catch the Night Train and boogie on until 5 AM.